Yes, it’s here again for the third year in a row! 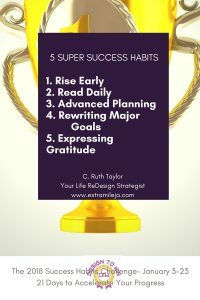 It’s the Success Habits Challenge! O the thrill of a challenge! How many of us remember the epic Ice Bucket Challenge in 2015, to promote awareness of the disease amyotrophic lateral sclerosis (ALS, also known as Lou Gehrig’s Disease), and encourage donations to research? The challenge to pour a bucket of ice water on yourself went viral on social media and raised a whopping US$1,000,000 for the cause. People at all social levels and financial standing got involved such as Bill Gates, former Presidents of the United States: Barack Obama, George Bush and Bill Clinton and even the British Prime Minister, David Cameron. Why do we humans love challenges so much? A challenge is a contest, a call to someone to participate in a competitive situation or fight to decide who or what is superior in terms of ability or strength. We can’t help but participate in a challenge when the promise (reward) is clear and compelling! Win or lose, we are motivated when we see people stretch the limits of physical, mental and emotional capacity. 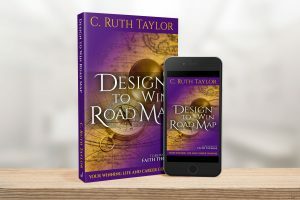 Now, having said all of that, I also want to challenge and stretch you to form life-changing progress accelerating habits which will fuel your success. I want to challenge you about hitting your targets, to hit the bullseye every time with your goals starting 2018! 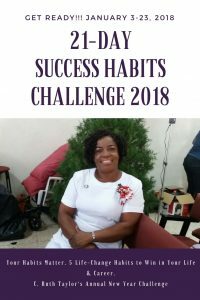 I want you to start 2018 by taking a 21-Day Success Habits Challenge, January 3-23, 2018. Join me on my Facebook Page C. Ruth Taylor where I will be hosting this challenge during the period, January 3-23, 2018. 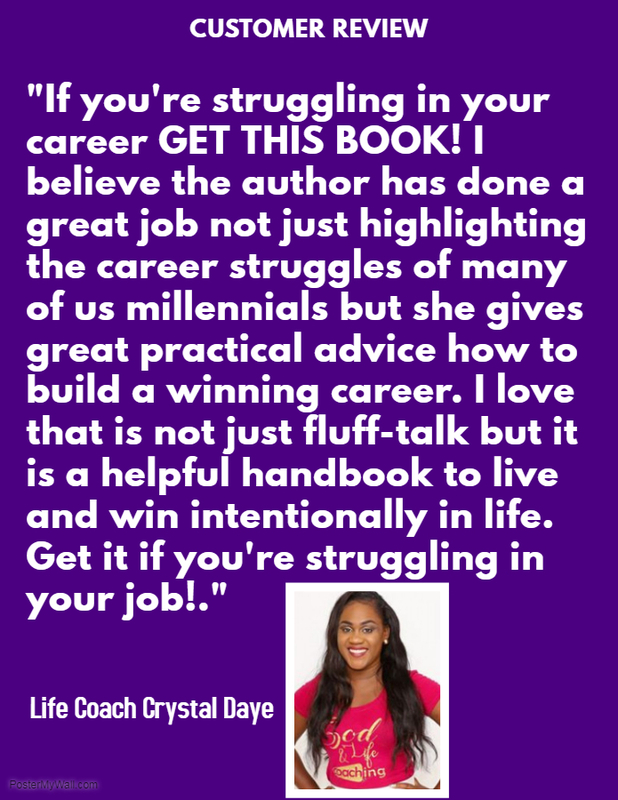 I will also be doing a live broadcast for 21 days straight and sharing 21 keys to help you create a winning life and career. The rewards of this challenge will be both tangible and intangible. I can guarantee in the short-term (1-3 years) and long term (5-10 years) phenomenal surprises and great success once you develop the success habits. Jim Rohn, the great American business philosopher and entrepreneur said: “Success is what you attract by the person you become.” Your habits determine what you become! This challenge will help you to become a more attractive person and the kind that will repeat success. During the Success Habits Challenge, I will be launching the first course from my Design to Win Academy. 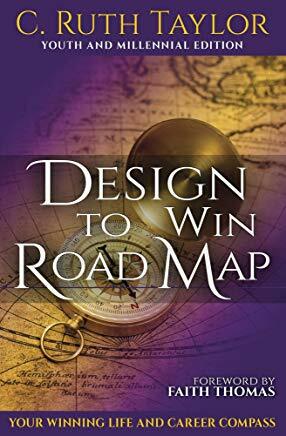 The Design to Win Academy is a virtual Career and Life Planning Institute to empower Go-Getters and Millennials to win in their lives and careers. Read more here if you are interested. The name of our first course is Design to Win Fundamentals. 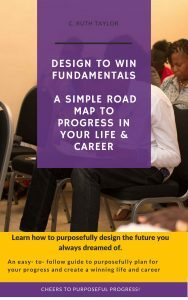 It’s a basic progress planning course that will help you to create a winning plan for your life and career over the next 1-5 years. The course is a 4-6 weeks self-paced online course, which contains the basic strategies which I have been using over the past seven (7) years to accelerate my progress. For more information, click Design to Win Academy. I will be offering a 50% discount to those who sign up during the launch. If you are in Jamaica and don’t have a credit card, there is an alternative way to sign up. Send me an email at designtowinacademy@extramileja.com and I will tell you how. Rising Early: Do this by 5:30 a.m.
Advanced Planning: List your 5 must do activities the night before or very early at the start of each day. Now, if you want accelerate your progress over the next year, join me on the 2018 Success Habits Challenge! Get at least 5 of your friends and family to take the challenge with you! I can’t wait to do this with you! 2018 is going to be phenomenal! Get ready to make the rest of your life, the best of your life! This entry was tagged Course launch, Design to Win Academy, New Year's Resolutions, progress planning, success habits. Bookmark the permalink.